So, the Lego fairy is unmasked! Yeah, instead of grading my huge stack of papers. 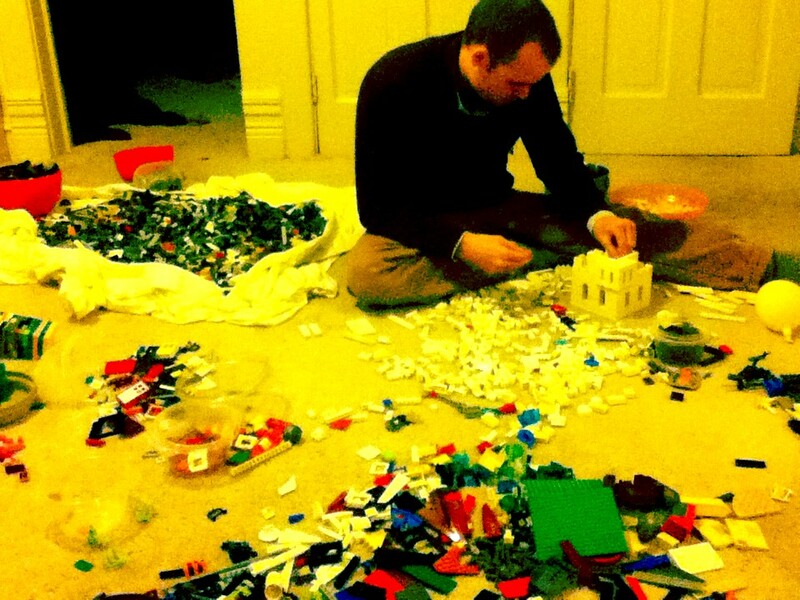 We have had legos all over our living room floor for the last week. We are trying to organize them so the kids can use them better, but I am the only one with any sticking power. So, we've long since run out of containers, so I am thinking, maybe if I just build them all into something. So was that the million piece boxed set? tony wishes he could come play with you. and he wants to know what you are building in that picture? This is exactly what Danny does after the kids go to bed too. Also, he keeps Gio up late to do it with him.